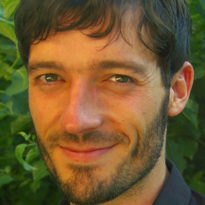 Daniel is an applied theorist working at the interface of decision theory and environmental economics. His main research interest is in societal decision-making under uncertainty and learning. Key topics of his work are the description of scientific uncertainty, the design of decision rules, and the analysis of active learning and the value of information. A second line of his research focuses on strategic aspects of environmental technologies with geoengineering (aka climate engineering) as an important area of application. Here Daniel’s work has been on heterogeneous preferences and their implications for deployment and R&D equilibria. Daniel’s work at the Grantham Research Institute is funded through a Postdoctoral Research Fellowship from the German Research Foundation (02/2016 – 01/2018). Before joining the Grantham Research Institute, Daniel completed his PhD in economics at Heidelberg University. His background is in Mathematics and Physics.